We are licensed by the State of New York. LOWEST Price in NY. No Hidden Cost !!! Ask about our Deluxe Gold Package. Honesty is the Best policy !!!! Deluxe Gold Package Deal – 8 Hour Pre-Assignment Certificate / 16 Hour Certificate and the Fireguard Prep Certificate as a bonus plus ASSISTANCE with the application on how to apply for and processing of your SECURITY LICENSE. ONLY 160 dollars. Plus job referrals. 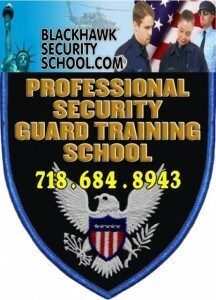 We provide professional security Guard training and assistance at an affordable price. Please be advised that the Fireguard Prep Certificate is given as a bonus with our Deluxe Package. Fireguard F-01 test must be taken at FDNY Headquarters in order to be certified as a NYC Fireguard. There is a $25 fee to take the fireguard exam with the FDNY. Please take a money order in the amount of $25, payable to FDNY. We will provide you with the details. The Fireguard Prep Cert is given as a bonus and may be required to take the test at 9 Metro Tech FDNY Headquarter. We will will give you the fireguard prep for free once you enroll for our Deluxe Gold Package. YOU ARE NOT PAYING FOR THE FIREGUARD PREPARATION CERTIFICATE. Electronic Fingerprints are needed for NYS Division of Licensing to Conduct a Criminal Background Check. We will guide you through the entire process step by step. You pay the state licensing fee by sending a money order to NYS Dept. of State. The security guard license is valid for two (2) years. Renewal fee after two years is currently $25. We will guide through the entire Application process, step by step. HONESTY IS THE BEST POLICY!!!!!!! Get your certifications from us, apply for your Security License from NY State and you can work with any Security Company. Our Prices are the LOWEST in the New York!!! 8 am to 7 pm. Sunday 12pm to 6pm. 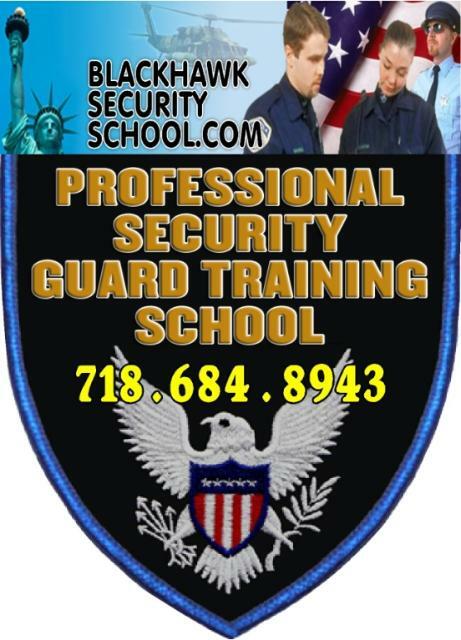 ***We will give you an application and walk you through the entire process (step by step) to acquire your New York State Security Guard License. There will be absolutely NO confusion how to apply for your Secutity Guard License. Please note: All students must bring a black ink pen, pencil, state or government picture ID and a note pad. Our school policy is HONESTY IS THE BEST POLICY. Payments are accepted in Cash, Money Order or Credit Cards (Visa, Master Card and Discover). NO AMERICAN EXPRESS CARD. I recommend this security school. very low price compared with other security schools. No hidden cost. everything was told upfront at the beginning of class.